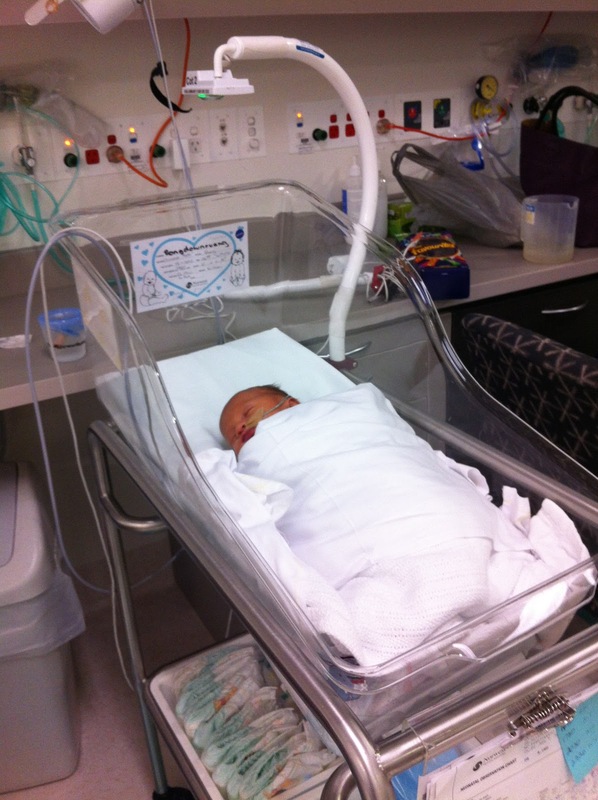 Last week I made a special trip to Sydney to fit a camera cot for a baby in the Special Care Nursery at Nowest Private Hospital. The 4am alarm was a shock when we've been on school holidays since early December. I walked out the door on automatic pilot, picking up the pile of things waiting at the door, grabbed Snuggy and made my way to the airport. The cot cameras were taken away at the x-ray machines to decide if they could travel. I put the rest of my things through and only then noticed I had Snuggy and no child travelling with me, old habits.... Finally the cameras were given back and I was allowed to board the plane. Arriving at Norwest Private hospital I went straight to the SCN. I disinfected the cameras again after the trip and set one up for our newest Look@MyBaby baby. Beth in the SCN was amazing. She was measuring feeds, talking to new parents and grandparents, looking after babies whose parents weren't in yet, taking temperatures and talking to me. She had even taken a number for me to call the baby's father when I was done. Thanks Beth. Norwest has Look@MyBaby available in every maternity room, but until this Look@MyBaby was not available in the SCN. The advantages of cameras in Special Care mean mum and dad can leave the hospital knowing they can check on their baby whenever they like, family and friends that wouldn't be allowed in a SCN can see your new baby, and mum often finds it easier to express while watching her baby. 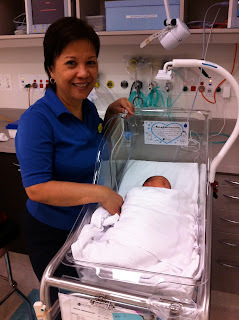 I went to the maternity ward and saw Carol, the midwife on duty, in the nursery. It was so busy with babies being weighed and checked before going home. It's a great, relaxed environment where new parents can go, ask questions and get to know things they are going to need to know and do at home, with the support of the team of midwives. Thank you Beth, Carol and Chris for a great visit and for your help while I was there. See you again soon.